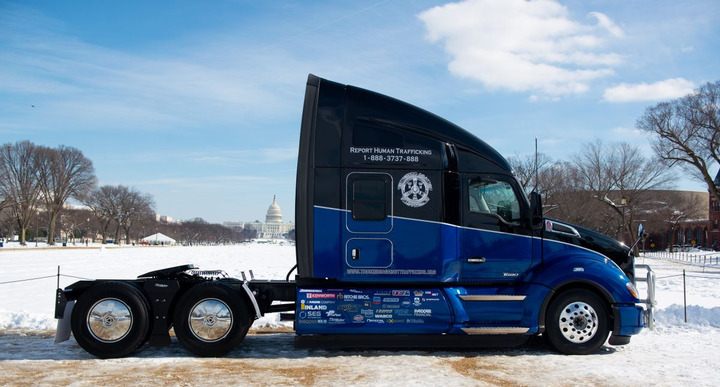 In coordination with National Human Trafficking Awareness month, Truckers Against Trafficking (TAT) unveiled its 2019 Everyday Heroes Kenworth T680, at a press conference held at the National Mall in Washington, D.C. 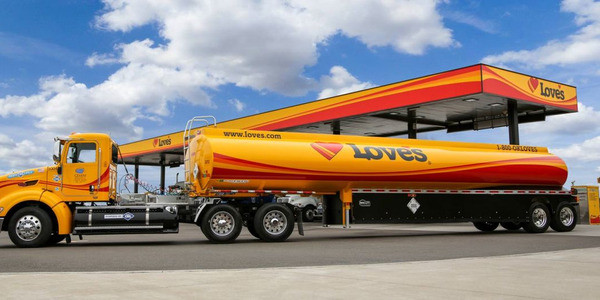 The special Kenworth T680 is fully loaded with a 485-hp PACCAR MX-13 engine and PACCAR 12-speed automated transmission. Fifty members of the national media and sponsors of the Everyday Heroes Kenworth T680 turned out for a chance to listen to speakers, get a first-hand look at the special TAT Kenworth T680, and take a look inside the Freedom Drivers Project, a mobile display featuring a video and artifacts from human trafficking survivors. Featured speakers explained the importance of stopping human trafficking and the need to continue to raise awareness about the crime. The speakers included Kendis Paris, Truckers Against Trafficking executive director and co-founder; Kevin Baney, Kenworth assistant general manager of sales and marketing; Don Blake, new truck sales manager, Inland Kenworth – Phoenix; U.S. Rep. Andy Biggs (Arizona); Karl Racine, District of Columbia attorney general; and John McKown, UPS driver and TAT ambassador. 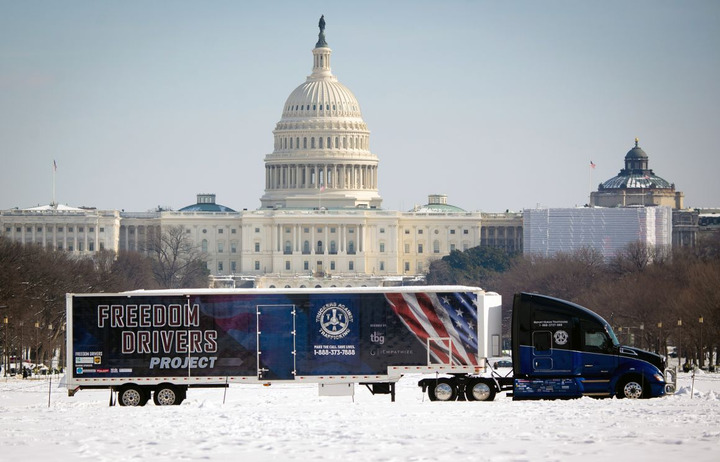 Those in attendance had the opportunity to look through the Freedom Drivers Project. 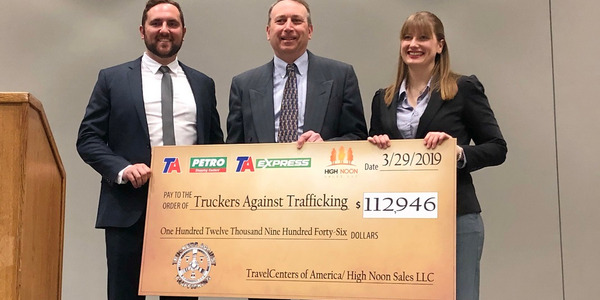 Fighting human trafficking takes money to fund, and that is why the 2019 Everyday Heroes truck was built – as a fundraiser to offset TAT program costs. 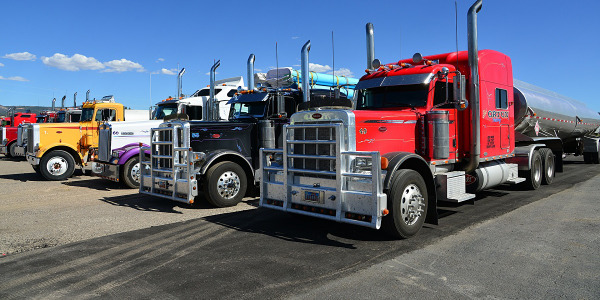 The Kenworth T680, valued at $162,000 will be auctioned off live on Ritchie Bros., site in Phoenix on May 17. 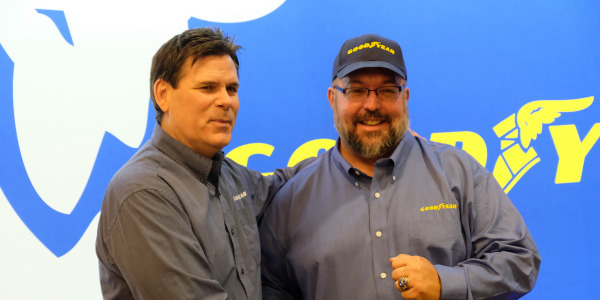 The unveiling of the Everyday Heroes trucks kicks off a four-month tour with stops at Kenworth’s Chillicothe, Ohio, plant (Feb. 21-22), the TMC Annual Meeting in Atlanta (March 18-21), and the Mid-America Trucking show in Louisville (March 28-30), before making its final stop at Richie Bros.
Providing support for the truck are Platinum Level: Kenworth Truck Company, Inland Kenworth and Ritchie Bros; Gold Level: PACCAR Engine, SEG Automotive, and Swift Charities; Silver Level: Bendix, Bridgestone, Eaton, FlowBelow, Horton, Jost, Meritor, PACCAR Financial, PACCAR Parts, Utility Trailer Sales of Arizona, Trimble, and WABCO; and Bronze Level: Alcoa, Arizona Rock Product Association, Arizona Trucking Association, Beaver Stripes and Molding, Chevron, ConMet, Davco, East Penn, Ex-Guard, National Seats, PrePass / Help Inc, Sheppard, and Tectran. Since its founding in 2009, over 680,000 people have become TAT educated and trained. 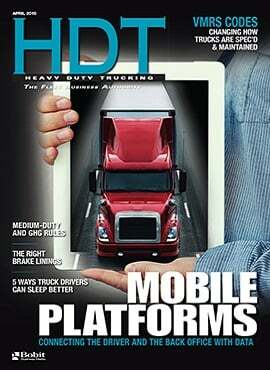 With over 3.5 million truck drivers in the U.S. alone, drivers are considered the eyes and ears of the road. Drivers like John McKown, who is TAT trained and a driver for UPS, is one of those drivers looking to make a difference. 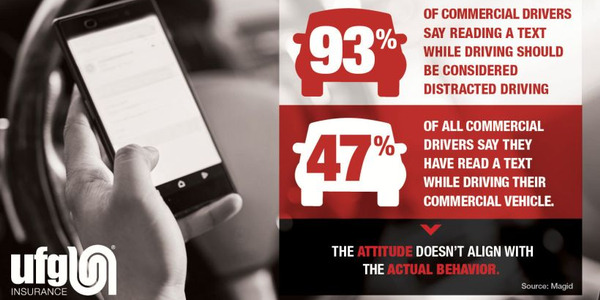 The Everyday Heroes Kenworth T680 is designed to raise awareness for human trafficking, and encourage other drivers on the road to report suspicious activity to the National Human Trafficking Hotline (1-888-3737-888). More information is available on the TAT website (www.truckersagainsttrafficking.org).